Feel like you’re tire d of doing your daily tasks and wanted to do something different? Getting depressed about your unjust compensation or probably faced with a recent demotion? Hoping to get away from your crazy boss or difficult co-workers? Then, you might be on the verge of filling your resignation. 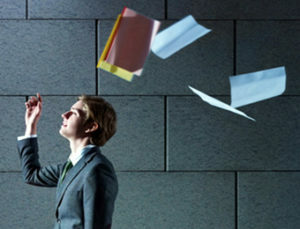 Resigning from work is a major career decision that everyone faces sometime in one’s career. This can greatly affect not only your financial status but your physical and psychological health as well. Therefore, you should ensure that you consider all factors before making your announcement with your boss. Basically, you don’t want to leave your work and be confused and dumbfounded on what to do next. So it is much better to first decide on what you wanted to do or what you wanted to achieve after you resign from your job. There are certain companies that don’t require a resignation letter from their resigning employees. Nonetheless, it is still important to have one since it’s the professional and ethical thing to do. It shouldn’t be that long since all you need to say is that you’re resigning and the date of your resignation. Moreover, try to say something good about the company or your boss. This will help keep the bridge between you and your employer intact. Blaming or even dumping the company won’t do you any good. If you can’t say anything good about your company, just keep it short and concise by mentioning your intention to resign and the date of your resignation. Make sure that when you state your resignation, you try to be clear about it. For example, you say, “I’m resigning on May 29,” what should your boss expect? Will May 29 be your last day working in the office or is your last day the previous work day? A date alone is somehow confusing so you really have to give specific details about it. Mentioning that you are resigning “at the end of business hours of May 29” will be more preferred than ambiguous statements. In addition, make sure that you are prepared to be flexible in your last day since your boss might want you to finish an assignment or your part in the project. If you have no vacation days, sick days, and compensatory days, in that case, your last day will definitely be your “last day.” However, if you have two vacation days remaining, and that May 29 is Wednesday, you can make your last day May 31 but be clear to your boss that you will be on “vacation” on those last two days. Now, when you have sent your two weeks of notice and your boss told you to leave right away, then the company may not owe for those two weeks, but only on the number of days you worked since your past pay date. In addition, if you have remaining or unused vacation days or other time-off, the company may not owe for that time. This will highly depend on the company and if you have any kind of employment agreement with your company. Therefore, it is best to clarify your company policy first before making any announcements. Clear your desk from personal clatter before making the announcement. It is important that when your last day of work arrives, you can pack all your things without having to return to office the next day. Moreover, there are instances where upon your announcement of your resignation, your boss will ask you to leave immediately. That will leave you with little time to pack up your things. If you have removed all your personal items in your desk, you will have more time to clear your desk and ensure that you have not forgotten anything. However, be reminded to take only the things that are truly yours. Any property of your employer should be left on your working station. It is important to inform your contacts about your decision to resign. Let your contact know the details of your resignation and inform them who will be taking your responsibilities. For instance, you are working with a client, it is best to have a transition meeting with him along with your replacement. That way, your replacement can be oriented with the project while your client can assess the capacity of your replacement to handle your responsibilities. List down or document all your major activities, the people whom you are working with, and future dates and deadlines. That way, your replacement can keep track of your activities and take over your job effectively. Do your best until the last day of your work. People may think that the reason why you are leaving your work is because you’re not interested to work. You need to prove them wrong as their impression about you can be critical in your future attempts especially if you’re going to ask for references from them. It is important that you check your HR department for any contracts that you have signed. For instance, you have signed a non-compete contract or an agreement that will restrict you from competing against a former employer. Moreover, aside from following these pieces of advice, it is also important to consider your financial stability. If it’s possible, only leave your job if you have sure employment at hand. Prepare for your resignation by conducting a job search while still employed. That way, you are assured that you have a fallback job in case you resign from work and won’t regret your decision. Peter Erich holds a doctorate degree in Psychology and teaches Behavioral Psychology.